Posted on February 23, 2015, in Crime and thrillers, historical fiction and tagged C J Sansom, Shardlake. Bookmark the permalink. 15 Comments. I wasn’t sure about Damian Lewis at first, but I’ve come to love his portrayal of Henry as the weeks have gone by. Mark Rylance is brilliant, of course – I’ve been very impressed with him from the first episode. I love Shardlake but am only halfway through Dark Fire at the moment and as I’m trying to read the series in order it will be a while before I get to Lamentation! I love this series and think Sansom is a fantastic writer. Mainly I like it for the character of Shardlake and his perspective on Tudor life. My favourite is the first one that deals with the dissolution of the monasteries. My image of Henry is the portrait you show. Those little piggy eyes. It makes you realise how dangerous it was to be that close to the monarch. I loved the scene in Wolf Hall where the king rages at Cromwell and Cromwell holds up his crossed fists in front of his face to protect himself. He knows he can’t touch the king but feels he has to protect himself so he produces this passive defensive gesture. It’s all he can do. Dissolution was my first experience with Shardlake and is still my favourite too Vicky. Last nights episode of Wolf Hall was behind superb. That closing scene just brilliant, how both characters conveyed so much without any words being uttered. I read one Shardlake book and enjoyed it. I’ve had Lamentation on my waiting pile fir some time ( probably years!) and I don’t know why I’ve not read it before now. I’m engrossed in Wolf Hall and like you I think Mark Rylance is wonderful – I’d been slightly apprehensive that the TV series wouldn’t live up to my high expectations after the books – I could not have been more wrong! Lamentation only got published last year Col so it must be a different Shardlake you have lingering on the shelf. I have read the first three (I think) of the Shardlake books and enjoyed them, but keep forgetting to get back to the rest of the series. 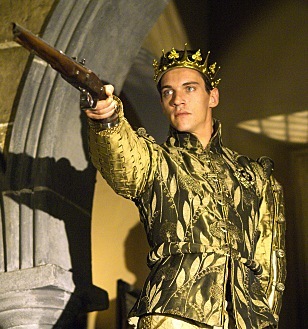 I love Damien Lewis’s portrayal of Henry Vlll he’s mesmerising. I enjoyed the first two and have number three on the shelf just waiting for the right moment. All the male actors in the series are wonderful – Rylance of course knocks spots off everyone else. Simply mesmerising. I would love to see the BBC adaptation of Wolf Hall. I still need to get to Bring Up the Bodies. These historical novels with a detective lawyer also sound good. Ah more to add to the list! I wonder how long you’ll have to wait for it to come your way Barbara. I can’t imagine the Beeb will want to miss out on such a big commercial opportunity. 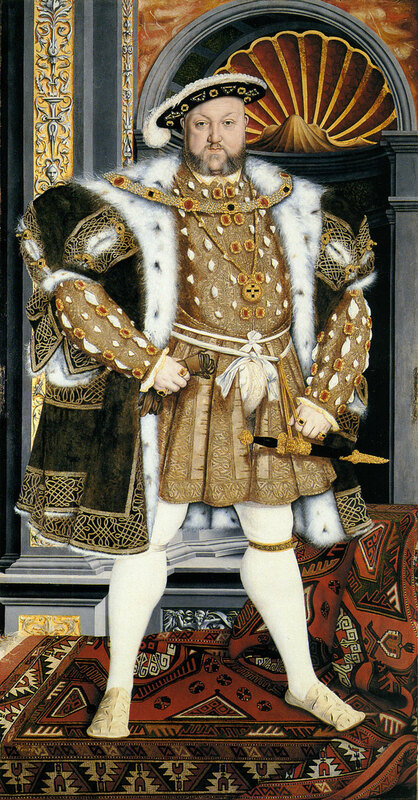 I always thought that portrait was by Holbein but it turns out that I was wrong and the painter isn’t actually known. I would have presumed it was Holbein too, what with it being so famous. What a shame the artist hasn’t been remembered.